eloise: a warmish December evening, just before dark. You sat on this rock and turned toward me, almost as if posing for the shot. We ran down this beach twice this week. You loved every minute of it until we had to go. A California beach baby for sure. 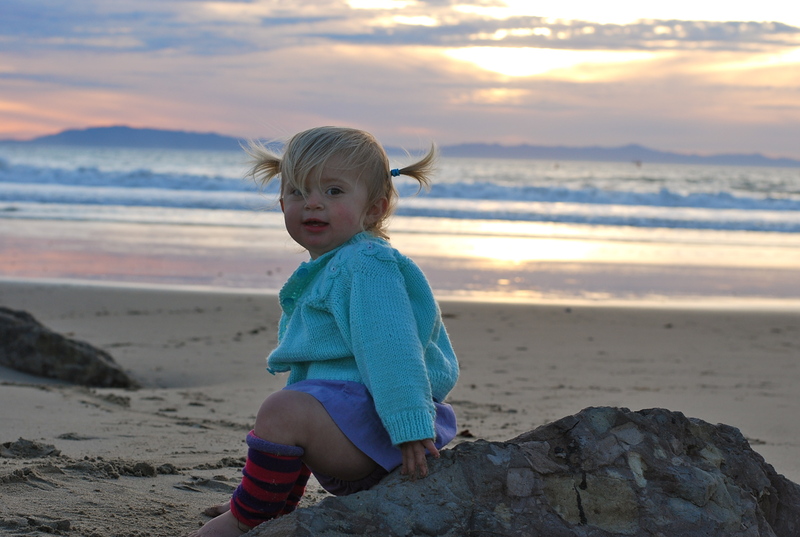 This entry was posted in 52 project and tagged 52 project, beach baby, december beach day, sunset, ventura beach. Bookmark the permalink.